Yesterday, we let our crazy, quirky hang out and of course, I was walking through the grocery store and remembered a couple things I should have added. I'll be keeping notes on my phone and will be sure to post when I have enough goodies for you. :) You can see the post here if you missed it. 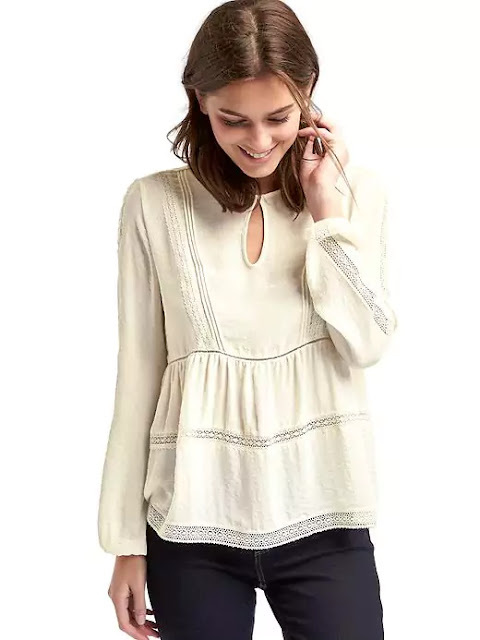 I wouldn't say that Boho Chic is my go-to style but I've been giving ALL THE HEART EYES to some of those pieces lately. I pieced together an outfit for girl's night last night and wanted to share with you. Fringe Booties: Exact here. Very limited sizes and colors but 30% off! Please note Bowen patiently waiting for me to hang up his art work. ha! The top is super airy, light, and perfect for the warm fall weather we've been having lately. You know I've been a fan of the fringe lately. Paired with my fringe bootie-it was the perfect combo! The top is a little longer in the back. On Gap's website you see it this way. However, I must tell you...it appears as though there's a button, but there isn't. There's no way to wear it "closed" like pictured above. 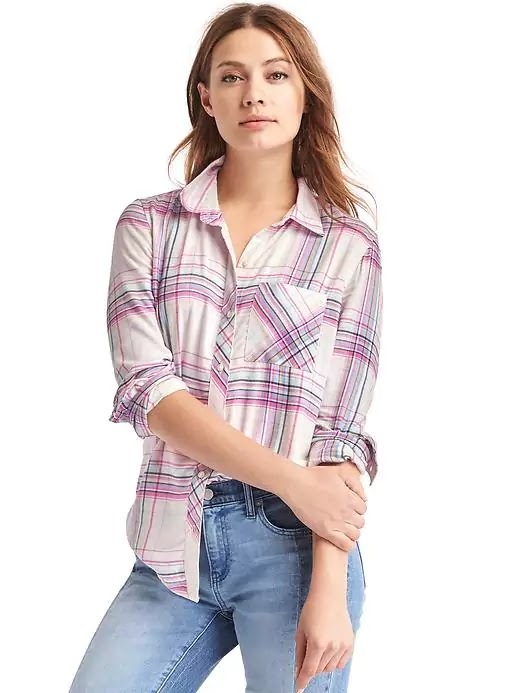 All my long-waisted friends...I ordered this Gap plaid top in a tall and I love it. Typically I order my normal size and after one season the plaid shirt has shrunk up and is too short. OR...I order up so it doesn't get too short and wear it a bit baggy. This time I ordered my normal size-just in a tall and it fit well but was just longer. Seriously, check it out. Comes in several other colors as well. Old Navy has some tall options as well. Your pictures are so good! Your mirror placement is spot on because the lighting is perfection...and so is the top :). Loved it last night! Looks adorable!! You are precious in that white top friend!! Love! Love your boho outfit! You look great in it!! I have the same long torso probs so I'm def checking these tops out. Side note: I recently found some great flannels at Target of all places that were longer than normal but still fit great! Sweet Bowen!! Love it. And you look awesome!